One day while I was folding clothes, The Five-Year-Old came up and offered to help. Never one to turn that down, I pointed to a stack of towels and asked her to put them away. And zoom she did, down the hall to the bathroom and back again at top speed several times until all of the towels were gone. 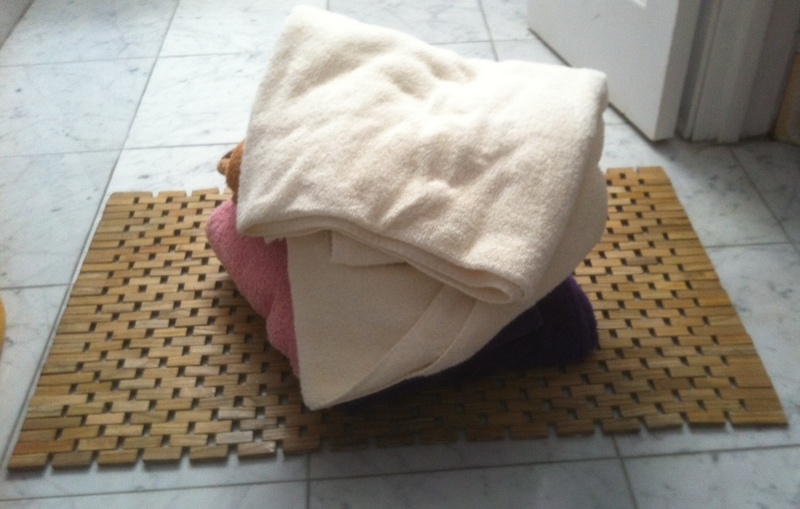 Later that afternoon, when I wandered into the bathroom for some other purpose entirely, I found the entire stack, carefully recreated on the bath mat, just inches away from the open door of the linen closet.